The oldest surviving member of the original Tuskegee Airmen, Willie Rogers of St. Petersburg, Florida, died Monday. He was 101 years old. The Airmen were members of the first African-American military aviation squadron in U.S. armed forces history. 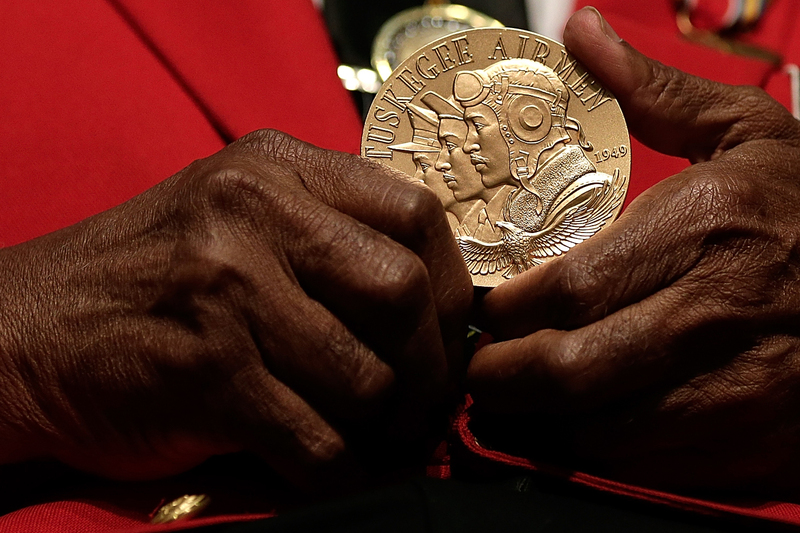 Tuskegee Airman Major Anderson shows off a Congressional Gold Medal given to all Tuskegee Airmen during a ceremony commemorating Veterans Day and honoring the group of World War II airmen Nov. 11, 2013, in Washington, D.C.